The pleurectomy with decortication is a surgical procedure for patients diagnosed with pleural mesothelioma. The surgery spares a patient’s lung by removing the pleural lining. The pleurectomy with decortication (P/D) is a lung-saving, alternative surgery to the extrapleural pneumonectomy (EPP). The P/D removes the diseased lining of a patient’s lung along with any other tumors in the chest. Many mesothelioma specialists prefer the P/D over the EPP because it is just as effective and patients often have a better quality of life. The procedure has been proven to improve a patient’s fatigue, dyspnea symptoms, and to help control fluid buildup. The life expectancy for patients who experience a P/D is comparable to those who have an EPP. The life expectancy is about 10 to 25 months after surgery with many patients exceeding that statistic. The pleurectomy with decortication was developed by Dr. Robert Cameron of the UCLA Medical Center. He developed the procedure as an alternative treatment option for pleural mesothelioma patients in the 1990s. The ideal candidate for a P/D is a patient with a stage 1 or 2 diagnosis. Patients are not excluded from the procedure due to their age. In fact, the surgery has been proven to be safe for individuals that are 70 years of age or older. Patients must exhibit good overall health and their tumor(s) must not have spread past the lining of their lung (the pleura). Pleurectomy is a successful lung-sparing surgery for pleural mesothelioma. 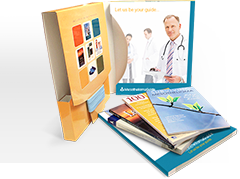 Our free Doctor Match program helps you find a qualified pleurectomy specialist. Our patient advocate team will learn about your unique pleural mesothelioma diagnosis. We will pair you with a doctor whose expertise fits your stage and cell type. We are connected with top specialists including Dr. Robert Cameron. We reach out to these doctors on your behalf. We help expedite the surgical appointments. There are only two surgical procedures available to treat pleural mesothelioma: pleurectomy/decortication (P/D) and the extrapleural pneumonectomy (EPP). P/D is a relatively recent procedure developed for treating malignant pleural mesothelioma. 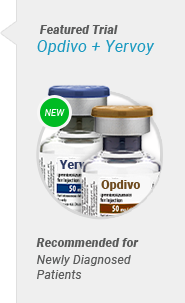 This palliative procedure was developed in the mid ‘90s. The median survival for mesothelioma patients treated with P/D is no different than patients treated with EPP. Research suggests that a P/D causes the least harm to a patient undergoing surgery. A pleurectomy is the part of the procedure that involves the removal of the lining surrounding the lung, known as the pleura. Removing the affected pleura allows for greater breathing comfort, but doesn’t do much to improve a patient’s survival time. For this reason, the EPP was used more often in patients who were eligible for the surgery. Decortication is the second part of the P/D after the pleura has been removed. It focuses on excising any remaining visible tumors surrounding the patient’s lung. The addition of decortication to the pleurectomy was the turning point for treating pleural mesothelioma patients surgically. The procedure has survival results comparable to the EPP. A Less Radical Answer to the Extrapleural Pneumonectomy? Pleurectomy/decortication is increasing in popularity among mesothelioma doctors. The P/D developed out of a desire to implement a procedure as beneficial, but less radical, than the EPP. Controversy remains over whether the P/D is the most optimal procedure for pleural mesothelioma patients. Some medical professionals argue that the EPP is unnecessary and can still leave cancer behind. 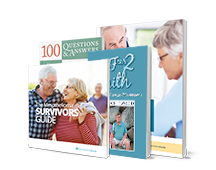 Other experts believe that P/D doesn’t do enough to remove a patient’s cancer. Many doctors, such as Dr. Raja Flores argue that the type of surgery depends on the individual. Dr. Flores favors the P/D when possible but sometimes opts for the EPP if the extent of the tumor is too severe. The most important factor in determining which procedure to use depends on a patient’s diagnosis. The extent of a patient’s cancer and cell type often dictates the type of surgery that is most beneficial for them. 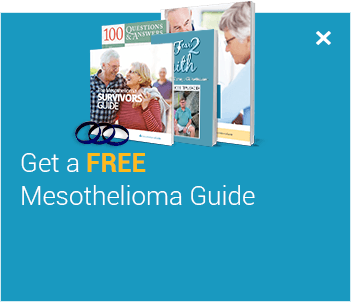 Connect with top mesothelioma specialists to get the right treatment for your unique diagnosis. Who is Eligible for Pleurectomy Surgery? Before undergoing any major surgery, patients have to be physically fit enough to handle the stress and recovery associated with surgery. For these reasons, patients are monitored to assure they are capable of handling the procedure. This is imperative for reducing operative mortality rates. 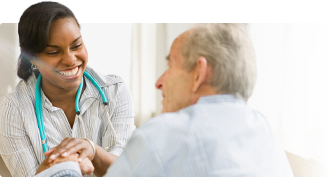 Aside from being capable of handling the surgery, the patient’s diagnosis is one of the most important aspects used to determine whether they are eligible for the procedure. Typically, only patients with stage 1 or stage 2 pleural mesothelioma are eligible for a P/D. Patients diagnosed with epithelioid mesothelioma are typically treated with a P/D. 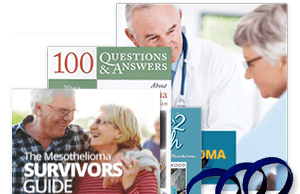 Epithelial mesothelioma is the most common and most treatable mesothelioma cell type. 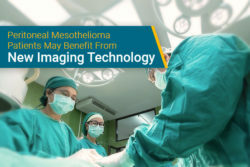 Patients with this type of mesothelioma often have more treatment options and a better prognosis, which makes them ideal surgical candidates for the P/D. Late stage patients are not eligible candidates for a P/D for one of two reasons: cancer has spread to the lung, which causes removing the lining of the lung to be frivolous, or the tumor is not “technically resectable”. “Not resectable” means the tumor is deemed too hard for the surgeon to remove without damaging the lung. In these cases, the tumor has spread into the fissures separating the lung where the doctor cannot reach surgically. Before a P/D begins, the patient is placed under general anesthesia. A patient may be under general anesthesia anywhere from 4 to 6 hours. Next, an endotracheal tube is inserted into the trachea to keep the lungs inflated. During a P/D, the endotracheal tube is also used as a tool to create a controlled deflation of the lung. Doing this helps the surgeon have better access to reach difficult parts of the tumor. Incision (thoracotomy) – An incision is made from the patient’s back to under the pectoral muscle to enter their chest cavity. The sixth rib is removed to allow surgeons appropriate access. Pleurectomy – The parietal (outer) pleura is removed along with any affected tissues in the chest wall, diaphragm or pericardium. Decortication – The visceral (inner) pleura is separated from the lung to excise any visible tumors. Sections of the visceral pleura may be removed if deemed necessary. This is the most tedious part of the surgery. Reconstruction – Sutures are used where necessary to close the chest. Gore-Tex, or a similar material, is used in cases where a considerable amount of the diaphragm has to be removed. After the patient is stabilized, three chest tubes are inserted to ensure the lung re-expands normally and to allow the pleural space to drain. These tubes are critical for a healthy recovery. Alternatively, patients whose preoperative assessment didn’t meet the standards may undergo a different procedure using video-assisted thoracic surgery. Traditionally, the lung is accessed by means of a thoracotomy, which is an incision between the ribs of the patient on the side of the affected lung. When patients aren’t fit enough for this procedure, a thoracoscopy can be used as an alternative. Thoracoscopies involve the employment of VATS to complete the procedure. Rather than making a large incision to gain full access to the lung, three small incisions, or port sites, are made on the side of the affected lung. One of the port sites hosts an endoscope, which is a flexible tool with a tiny camera on the end. Once the incisions are made, any pleural effusions (excess liquid in the chest cavity) are drained. The camera is then inserted to see inside the patient’s chest cavity, while the other port sites are used to complete the P/D using special tools. Intraoperative treatments can be used during P/D surgery. Using this type of treatment allows doctors to have direct access to a patient’s tumors. Many patients take advantage of intraoperative radiation therapy(IORT) as part of their P/D. IORT is introduced before the chest is closed. This allows radiation to kill remaining microscopic cancer cells. These are cells that could not be removed with surgery without passing radiation through extra tissue. Patients who underwent P/D and IORT demonstrated improved survival times over those having only the P/D. Heated intraoperative chemotherapy is also being offered at some institutions after a P/D procedure. This allows doctors to put chemotherapy in direct contact with any remaining microscopic cancer cells. In recent studies, this process has shown a median survival of 35 months. After surgery, patients can expect to spend 5-7 days in the hospital for recovery. They are moved to a recovery room immediately after waking from the anesthesia. During this time, about 3-4 hours, patients have all their vitals monitored to ensure the surgery was a success. This includes heart rate, blood pressure, breathing rate and oxygen levels. An epidural or morphine pump is used for pain management, along with prescribed pain pills. The patient is also on a respirator directly after the surgery. A respirator is necessary to guarantee the patient is getting enough oxygen. Breathing is typically labored for a few days following surgery. Patients are also fitted with chest tubes to help the lungs stay inflated and drain any fluid buildup from surgery. Patients are usually sitting up either the night of or day after their surgery. They are encouraged to start walking and moving as soon as possible. This is necessary to make sure the patients keep their strength up to facilitate a speedy recovery. Patients are also started on breathing and coughing exercises with the help of a physiotherapist. These exercises not only help recuperation but prevent infection and pneumonia as well. Infection is possible after any surgery and P/D is no exception. Coughing helps to rid the lungs of sputum, which tends to build up after major lung surgeries. Ridding the lungs of sputum helps prevent bacteria from forming a haven in the body. After a week of being monitored patients are allowed to check out of the hospital. The recovery process after the patient goes home takes about three more weeks. During this time patients will continue their breathing and coughing exercises as well as walking exercises. On the whole, total recovery from a P/D takes only about one month for most patients. Afterwards, patients can assume a normal life, but still must be careful to avoid overexertion. The primary benefit of undergoing P/D is improving patients’ life expectancy. The average life expectancy of a patient with pleural mesothelioma is approximately a year. Statistically, only about 5% of patients survive for five years. However, those who had a P/D saw a marked improvement. P/D has also demonstrated better overall survival and decreased mortality if a patient’s mesothelioma recurs. In one study led by Dr. Raja Flores, patients with stage 1 diagnosis had a survival rate of nearly 40% after five years. The P/D was developed with the intent to be more beneficial than the EPP. The obvious benefit being the saving of the affected lung. Recovery time for this procedure is also remarkably low in comparison to an EPP. Dr. Robert Cameron is one of the harshest advocates against the EPP and argues that “the lung is an innocent bystander underneath the tumor, but is removed along with the tumor in order to theoretically get better clearance”. P/D is also beneficial to patients with minor cardiac issues. Patients who have any heart conditions are most likely not eligible for an EPP. Since the lungs and heart work together to support each other, a patient with a heart condition may not be strong enough to rely on only having one lung. However, these patients may be able to reap the benefits of a P/D because their affected lung will remain intact. 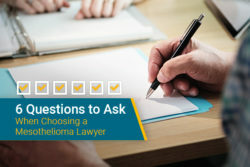 Get connected with top mesothelioma specialists to determine if you’re eligible for surgical treatment and which surgery is right for you. As with any surgical procedure, there are inherent risks involved. A cost/benefit analysis is always taken into consideration to reduce mortality rates and complications. When treating a pleural mesothelioma patient surgically, the first risk assessed is whether the patient should have an EPP or a P/D. When it is determined that a P/D is the better option for the patient, this is typically the result of taking less risk. P/D is known for being more risk-averse. This is because the lung is saved and fewer complications arise during the surgical procedure. Mortality rates for this surgery are also considerably lower. However, this isn’t to say there aren’t risks involved. Risks associated with this procedure are essentially the same as those associated with the EPP; the difference is they occur less frequently. Too many veterans in the VA system who have mesothelioma don’t see a specialist. Although a general oncologist may be able to diagnose mesothelioma, they aren’t experienced in treating the disease. This lack of experience could lead to veterans missing out on life-extending treatments like the pleurectomy with decortication. Dr. Robert Cameron runs the Elmo Zumwalt Comprehensive Mesothelioma Program at the Los Angeles VA. It is one of the best, and most efficient, mesothelioma programs in the country despite the VA’s reputation. The mesothelioma program at the LA VA is commended as being of equal or better quality than the top cancer centers in the country. Veterans are also likely to learn that they are eligible for a P/D despite what their general oncologist may have said. Dr. Cameron is able to offer veterans the same type of treatment through the LA VA as patients he sees at the UCLA Medical Center. Help is available to veterans. The VA offers travel assistance and lodging for veterans who aren’t located in the Los Angeles area. 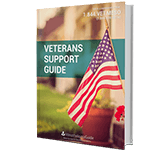 Learn more about how veterans can obtain financial assistance to pursue mesothelioma treatment in our free Veterans Support Guide. Debunking the Myths about P/D. Pacific Meso Center. Retrieved from: http://www.phlbi.org/sfor-patients/debunking-the-myths-about-pd/. Accessed: 10/10/18. Raja M. Flores. (2008). Extrapleural pneumonectomy versus pleurectomy/decortication in the surgical management of malignant pleural mesothelioma: results in 663 patients. New York. Journal of Thoracic Cardiovascular Surgery. John R. Roberts. (1999). Surgical Treatment of Mesothelioma: Pleurectomy. CHEST Journal. Dr. Robert Cameron Meso Myth Buster. Pacific Meso Center. Retrieved from: http://www.phlbi.org/blog/2011/02/dr-robert-cameron-meso-myth-buster-myth-1/. Accessed: 10/10/18. Mesothelioma Cancer Rates. Surveillance, Epidemiology and End Results. Retrieved from: https://seer.cancer.gov/archive/csr/1975_2009_pops09/results_merged/sect_17_mesothelioma.pdf. Accessed: 10/10/18.